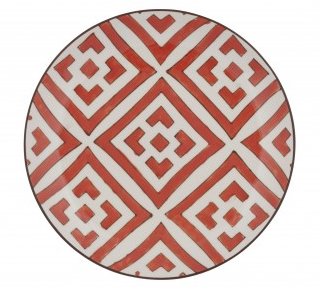 Find of the Week: Ethnic Inspirations! This week’s Find of the Week is just in time for spring entertaining! 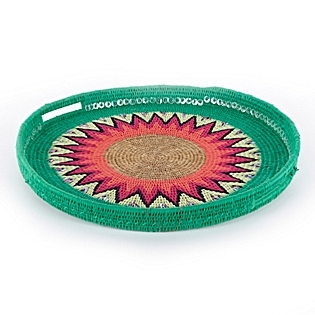 The Round Sequin Tray ($150) from Serena & Lily is part of their new “Africa Collection,” which is chock full of other neat finds. It’s made of recycled woven materials in Swaziland by artisans who create part time, which allows them to maintain their traditional lifestyles. Use this tray to hold some appetizers, and plate them on these equally lovely Moroccan Dessert Plates ($18 each) from Jayson Home and Garden ! ← Color Friday is: “Green!” Happy Earth Day!